To The Pointe! 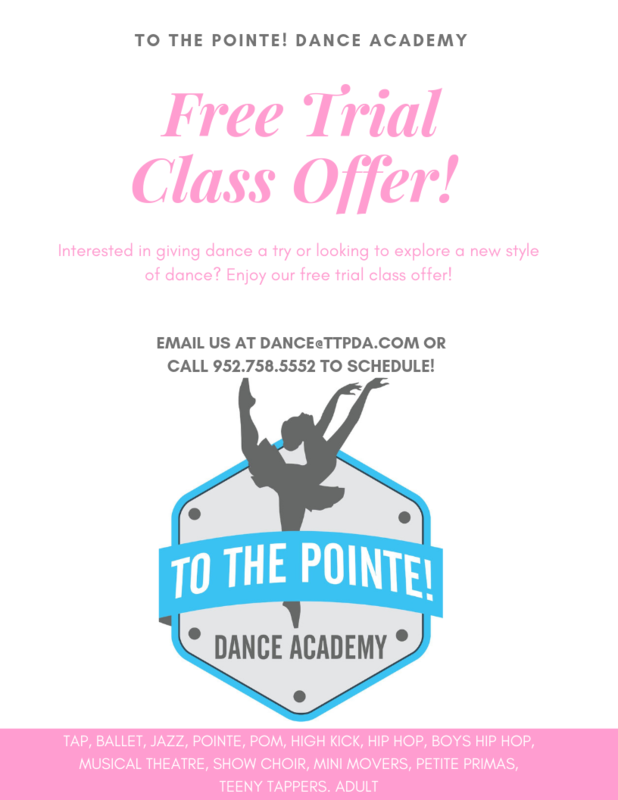 Dance Academy strives to be the leading area provider of exceptional dance instruction for Ages 2 to Adult. Our instructors are top-notch, providing innovative choreography and dance curriculum, while striving to make a difference to all who enter our studios. To The Pointe! Dance Academy seeks ways make a positive impact to each dancer; i.e. Mentorship Program, speakers from around the area, community events, performance opportunities, and more! Want to learn more? We would love to meet with you to share our joy and passion! Visit with us at one of our beautiful studios or contact us for further details! We look forward to seeing you soon!